Someone at the office finally noticed last week that I was wearing a new pair of jeans. These weren’t just any jeans either. They’re a hip brand with nice deep blue color with the creases and fading as part of the design. “Like young people wear,” she had said. Age jokes aside, I like how they look and how they feel. So I won’t be wearing my old Levi’s anymore. Besides the (apparently) outdated 1980s acid-washed look and seams starting to rip, they must’ve shrunk because they’re more snug than they used to be. I won’t throw them out, though. I know where they’ve been and what they’ve done and I still might put them on when there’s some work to be done. That’s kinda how I feel about Gridgen and Pointwise. I wore Gridgen for decades but about six years ago I tried on Pointwise and found that I liked it better. Gridgen was figuratively busting at the seams – that happens after 27 years of constant development. 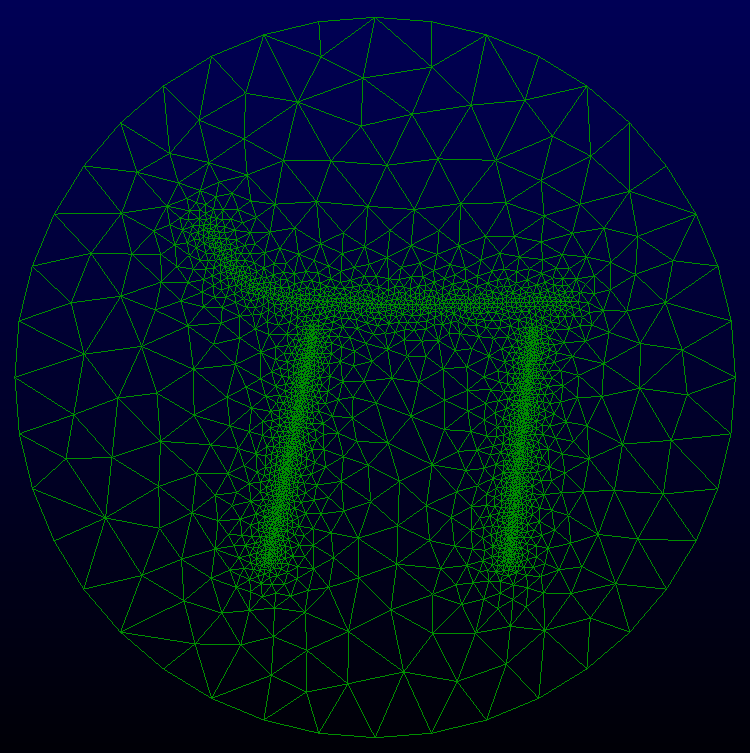 But Pointwise not only looks better but it’s more comfortable too. After all, we didn’t spend over 30 years of development effort creating it for no reason. 1. Double-click to open a file. Let’s start from the beginning. 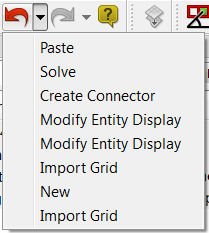 It’s so convenient to be able to open a grid simply by double clicking on its Pointwise project file. We’re all accustomed to that with our other software, but you can’t do that with Gridgen. Double-click and your file opens. 2. Most Recently Used file list. Do you sometimes know which file you want to open, but can’t remember what directory it’s in? Do you sometimes need to open a file on some other file system that will require a lot of browser navigation to find? 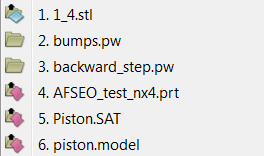 With Pointwise, the files you most recently opened are listed in the File menu’s list of most recently used (MRU) files. Just click and go – without any file browsing. Your most recently used files are easily recalled. 3. Selection box. Selecting things is the bane of interactive 3D software. Selecting just one thing is sometimes hardest of all. And if that one thing is small and thin like a curve, selection is even harder still. Because Gridgen’s selection box isn’t on by default, it requires very fine hand-eye coordination to get the cursor over an object that’s only 1 pixel wide. But in Pointwise, the selection box is on all the time so it’s incredibly easy to sweep out a little box over a curve to pick it. The always-on selection box makes selecting easy. 4. Select All Adjacent. 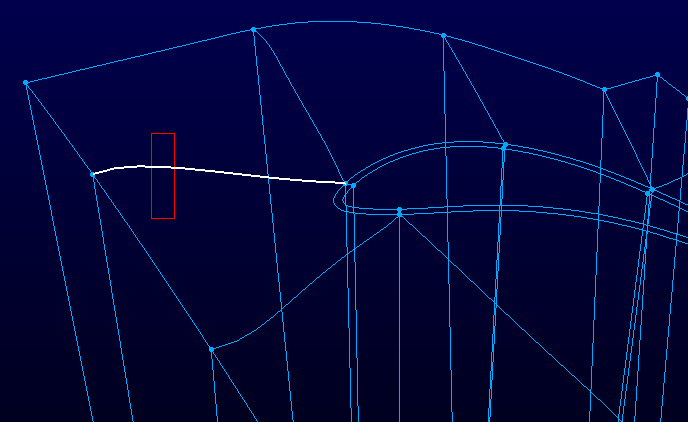 Selecting lots of things can be a problem too, but that’s when Pointwise’s Select All Adjacent command comes in handy. Once you’ve selected one entity, you can press Ctrl+Shift+A to select all entities of the same type that are adjacent to your initial selection. And with the optional turning angle limit, you can have this selection stop at hard edges. Want to pick all the domains on the top of a box? 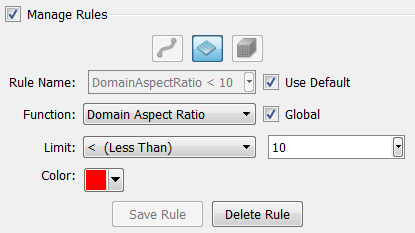 Set the angle limit to 45 degrees, select one domain on the top, Ctrl+Shift+A, and you’re done. Select many adjacent entities with a single keystroke. 5. Curve drawing. When you’re drawing curves in Gridgen, you’re utilizing the 3D cursor, or as I now call it “the ball and chain.” You have to drag the 3D cursor around the screen while pressing a mouse button and then press a menu button to save each control point. Pointwise doesn’t use the 3D cursor and instead you just point and click to add the control points that define your curve. No more click, hold, drag - draw curves with just a few clicks. Rules help you be proactive about mesh quality. Saving a screen image is as easy as Ctrl+P. 8. Undo. Without a doubt this is my favorite. We all make mistakes, some of us (ahem) more often than others. Undo lets me try something and if it doesn’t work out, Ctrl+Z and I’m back where I started. Plus, I can save up to 20 undo levels and undo my last 20 mistakes. Undo gives you the freedom to experiment. Denim is comfortable, durable, and you can wear it just about anywhere and the same can be said for both Gridgen and Pointwise. 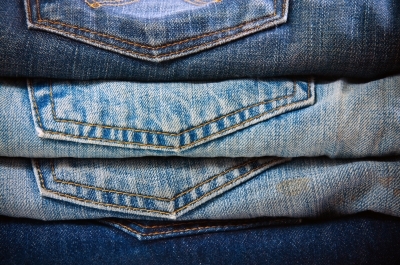 But everyone can benefit from a new pair of jeans every once in a while. 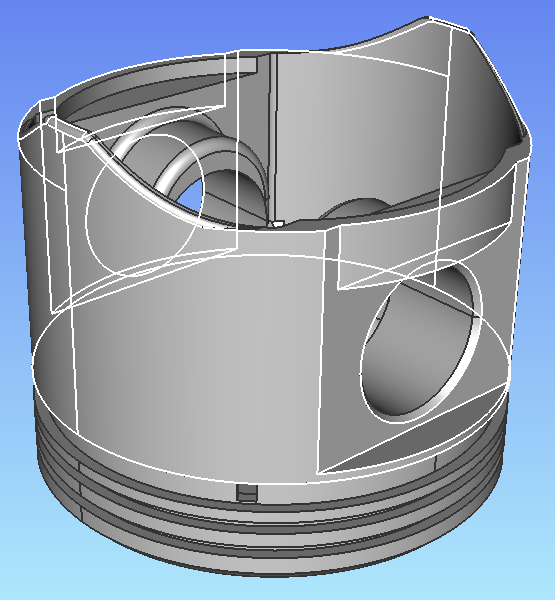 What features in Pointwise fit you the best? This entry was posted in Software and tagged CFD, GUI, meshing, Pointwise, user experience, user interace. Bookmark the permalink.